Windscreen crack or chip? 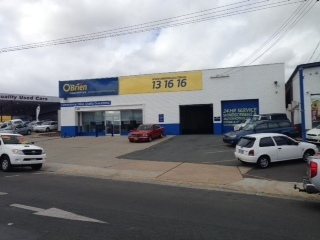 Contact your local O&#39;Brien® in Fyshwick, ACTfor a fast and convenient way to get your damaged vehicle glass fixed. We are opposite the Shell / Hungry Jacks Service Station near roundabout between Newcastle Street and Wollongong Street. With friendly advisors available 24 hours a day and expert technicians located all over Australia, we're always here when you need us. Choose from our in-branch service or mobile service today. Fast and hassle-free windscreen repair and replacement. Choose O'Brien® AutoGlass Fyshwick to repair or replace your damaged vehicle glass. You can arrange for one of our mobile technicians to come to you at a convenient time and place, or book an appointment in branch. Drop ins can be accommodated, but please contact us for availability. On Saturdays trading times may vary, so please call us to check the day before on 1800 053 598 .